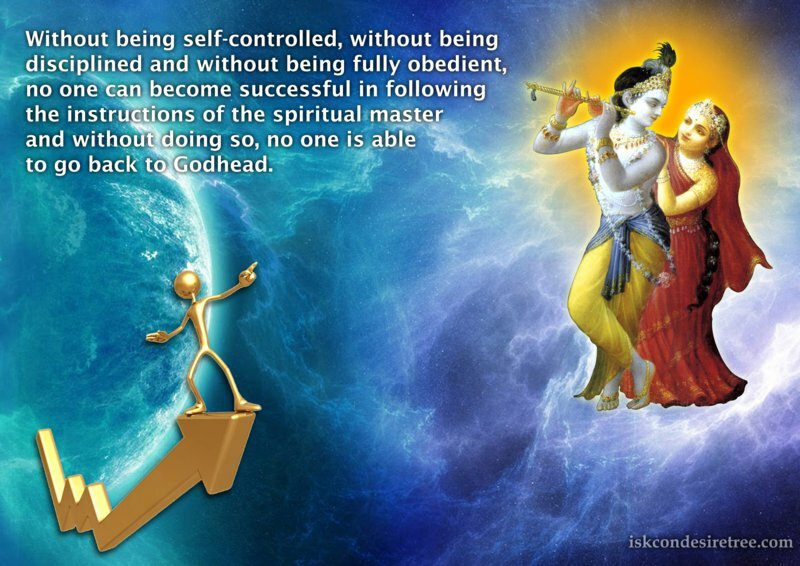 Without being self-controlled, without being disciplined and without being fully obedient, no one can become successful in following the instruction of the spiritual master and without doing so, no one is able to go back to Godhead. — Srimad Bhagavatam, 01.05.24. 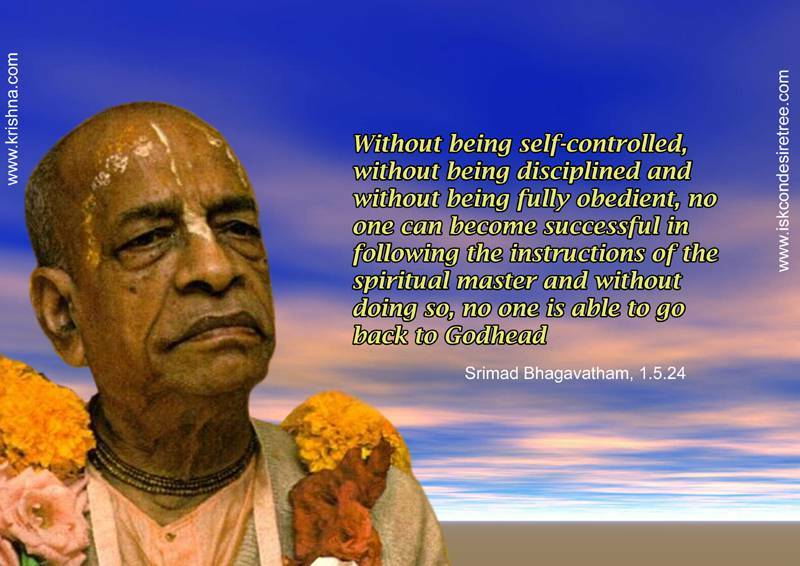 Without being self-controlled, without being disciplined and without being fully obedient, no one can become successful in following the instructions of the spiritual master and without doing so, no one is able to go back to Godhead.